We all enjoy sailing. It is relaxing, exciting, and at the same time, challenging. The cool breeze and spray from the ocean is really something to die for. However, no matter what type of boat you sail or where you sail it, there is one important factor that you should consider first – safety. As with any watersport, sailing has its own hazards. But with careful preparation, boat knowledge, common sense, and proper understanding of sailing rules of the road, you can minimize these dangers and have an enjoyable boating adventure. This sailboat safety guide highlights some of the things you can do before your voyage to prevent disaster, and a few rules that you should observe while on the water to avoid being on the wrong side of the law. Let’s get started! 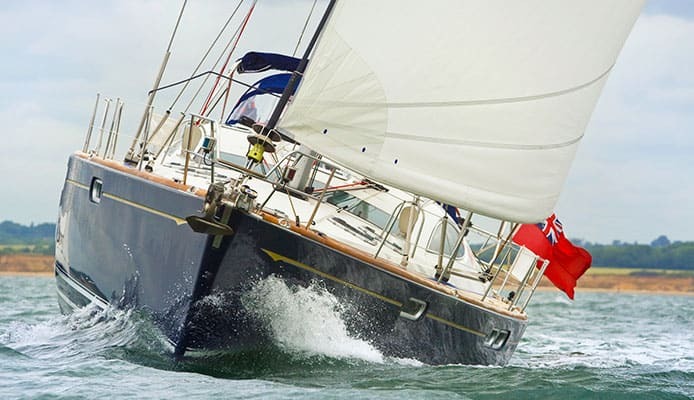 It doesn’t matter how experienced you are – planning ahead will always guarantee safe sailing. Check the weather conditions of the area you intend to sail. This will help you determine the best time to go for the sail, what clothes to wear, and what equipment you will need. Get familiar with coast guard boating safety requirements, sailing rules of the road, and any other local boating regulations. It would be a good idea to have a float plan in place too, with information for everyone on board, vessel details, communication and signaling equipment aboard including VHF marine radios, phone, EPIRBs, and personal locator beacons. Leave this information with someone you trust on land. This is also the best time to examine your vessel to make sure everything is functioning as required. If any parts need repair, have these fixed before you go. Going prepared with enough knowledge of your sailboat and the right equipment will go a long way in keeping you safe on the water. Pack enough food and plenty of clean water to stay energized and hydrated throughout your trip. Make sure you have enough sailing life jackets for everyone onboard. You will need to be certain that every person knows how to put these on. If you will be using inflated PFDs, ensure that they meet coast guard requirements for PFDs, and have everyone learn how to activate manual inflation just to be on the safe side if automatic firing jams. Also, have ways to keep yourself and others protected from the sun. This will include sunscreens, sunhats, polarized sailing sunglasses and any other sun protective clothing that you may deem fit for the day. Don’t forget to bring a first aid kit too with bandages, plasters and an antiseptic, just in case. Common sense plays a major role in ensuring sailboat safety. Before your trip, take some time to think about it and how you can keep yourself and your passengers out of harm should danger arise while on the water. Keep track of any weather changes. If the sky starts to darken or wind picks up unexpectedly, play it safe. It would be wise to head back to dry land until the atmospheric conditions are right for sailing. Also, avoid sailing in crowded areas. Now, this may be difficult if you booked your trip during popular tourist seasons, but fewer vessels will mean fewer chances for crashing. On a trip like this, you will need to stay sober and cognizant. Remember, you are responsible for your life and those around you, so avoid taking any form of drugs or alcohol during the sail. A revisit of boating drinking laws will get you acquainted with what you can and cannot do with those bottles of champagne in the galley. Get enough sleep too prior to your trip so you can remain alert and fresh while you are sailing. It would also help to know your sailboat inside and out and how to handle it. If you haven’t been on the water for a while and feel like you need to brush up on a few sailing skills, take classes. Boating lessons are beneficial to both new and elite sailors. You will always find something to learn or improve on. But the secret to safe sailing is to always cruise at a safe speed especially in areas where there are many boaters. Pay attention to your boat’s steering wheel, respect navigation aids, and give way to larger vessels. Sailing will get you and the boat elements working together to propel you through the waters. With the amount of effort and hands-on work involved, there come additional hazards. If you are just learning how to sail, it is important that you familiarize yourself with your boats elements, their power, and how to manipulate them correctly. Be aware of any moving part of your sailboat including the booms, spars, and anything else that is not bolted or tied down. This is technically a machine in constant motion, so be watchful of how everything shifts or moves. Apart from having life jackets or PFDs on board, make sure that you and your passengers wear them when the boat is underway. They will be of no use to any of you if they are just lying on the deck and the boat goes capsizing. If you are sailing alone, use a safety harness rope especially in rough weather so you can stay on the vessel even when you lose control of it. If you are sailing at night, in fog, or any other area with reduced visibility, have an automatic identification system installed on your vessel to avoid colliding with other watercrafts. When sailing in cold weather, make sure to dress warmly. You want to wear your usual sailing shorts and pants, we get it, but on a cooler day, get something warmer. Add on a down jacket and a pair of sailing gloves if you must. A warm pair of sailing shoes won’t hurt either. If one of your passengers falls overboard, practice in advance how to turn the boat quickly and stop it beside the person. Some of the people in your boat may not be familiar with sailing and boating and may not know what to do in case of an emergency. It is your responsibility, therefore, to prepare adequately and utilize available resources to ensure safe sailing for everyone. Staying safe can also involve knowing where you are going. A marine GPS will be an effective tool on a trip like this, as it will keep you informed on where you currently are and where you are headed. This can help you avoid sailing your boat to dangerous areas. Excessive wave conditions can make it difficult for you to sail and may increase your chances of capsizing. If you think your boat cannot handle such conditions or are not sure of your ability to sail in large waves, wait until they have subsided. 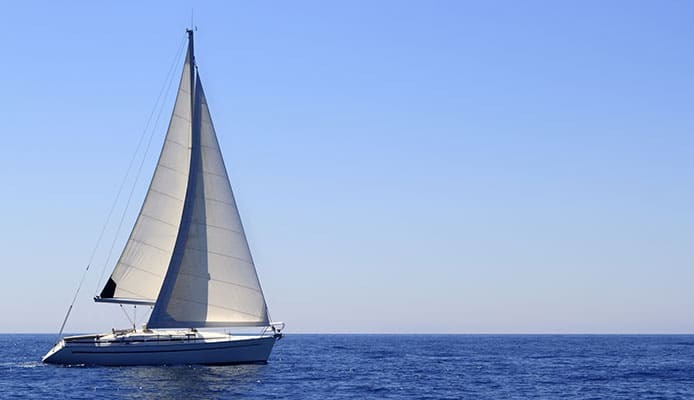 Sailing is a great way to enjoy nature and explore the beautiful marine environment. Proper preparation and adequate sailing knowledge will help you have a fun-filled and danger free adventure. And when you are not on the water, read books on boating and seamanship to improve your skills and knowledge.